Given by David King, Esq. 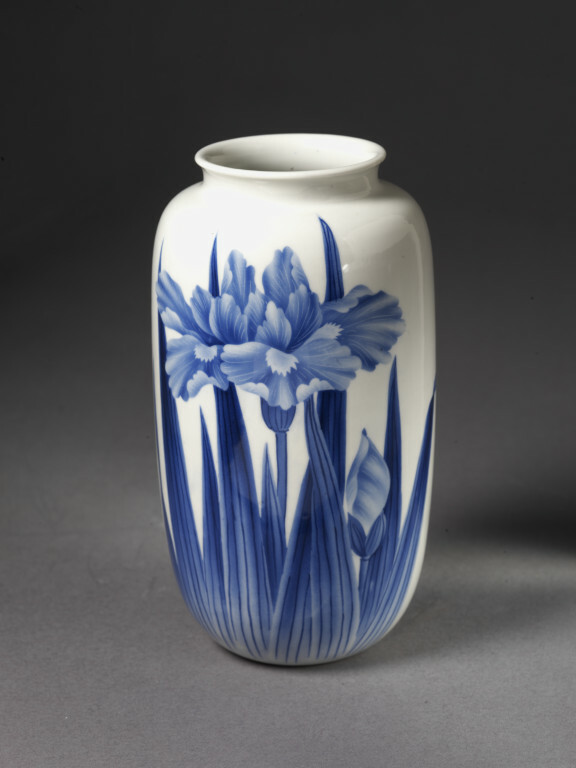 Vase, porcelain decorated in underglaze blue with designs of iris plants rising up the sides. 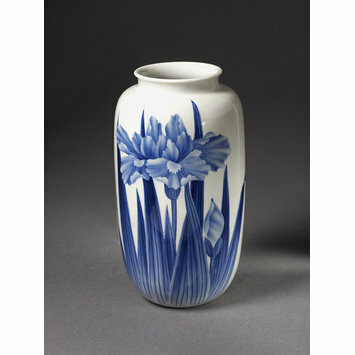 The vase is ovoid in form, contracting at the neck and with flaring mouth.